Welcome to the world’s first JERKY SHRINE! It was bound to happen one day. In the course of collecting jerky bags starting in 2008 for ideas on homemade jerky, researching starting a jerky company, online jerky purchases, and launching our www.jerkyingredients.com jerky review web site in 2014, a fair amount of jerky paraphernalia have been accumulated over the years. 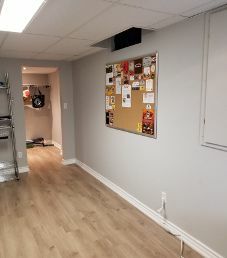 Nobody will quite understand how many countless hours since mid-2013 was spent on getting this jerky review web site to the point where it is today, and not to mention the jerky bag collection that today is 1270jerky bags (January 28/2019 – 1,260). A JERKY SHRINE is more than justified considering the time and effort spent on this jerky review web site. Instead of the jerky paraphernalia being hidden in binders, jerky paraphernalia will now be on full display in the JERKY SHRINE. Some of the jerky paraphernalia accumulated to date includes tote bags, t-shirts, business cards, wrist bands, coasters, stickers, magnets, thank you cards, cup holders, information brochures, jerky price sheets, and even sunglasses lately. 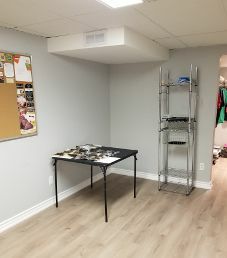 Some noticeable exceptions missing to date in the Jerky Shrine Closet are baseball caps and coffee mugs, which would be located on the Jerky Shrine Closet top facing shelf. Almost regardless of the type of jerky paraphernalia, it will be welcomed into the JERKY SHRINE. The most noticeable exception to not being displayed in the JERKY SHRINE is that we must have tried the jerky brand jerky. Other exceptions are invoices with personal notes, handwritten letters, and typed letters, where these non-displayable items will be stored in dedicated binders inside the JERKY SHRINE. 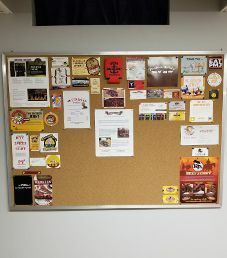 Two 4 feet x 3 feet Jerky Shrine Cork Boards, and over 200 tacks later, Jerky Ingredients has a great running start to the JERKY SHRINE still in its infancy being 13 days old today. About the pictures in this JERKY SHRINE post. PICTURE #1 is the entrance to the JERKY SHRINE, where one day there may be something added to indicate that this is the JERKY SHRINE. PICTURE #2 is the Jerky Shrine Photography Table for taking pictures of jerky bags and jerky strips. 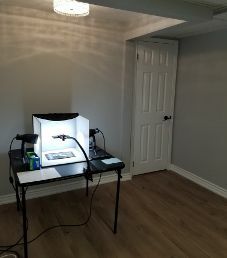 Blank white paper is needed to make sure that oily and greasy jerky strips do not smear the photography kit. A scale is used to ensure that jerky makers are accurately stating the jerky weight. The last step on this Jerky Shrine Photography Table is divvying up the jerky portions into zip lock bags for Stephane, Paul, and Mark to review. PICTURE #3 shows Jerky Shrine Wall #1, which currently occupies Jerky Shrine Cork Board #1. Also pictured is a look into the Jerky Shrine Closet, and the Jerky Shrine Storage Stand beside the entrance. PICTURE #4 shows Jerky Shrine Wall #2, which currently occupies Jerky Shrine Cork Board #2. A new addition to the jerky reviewing process is adding a separate table to do various things, referred to as the Jerky Shrine Utility Table. Also pictured is the Jerky Shrine Storage Stand, and Jerky Shrine Closet. The Jerky Shrine Storage Stand has a basket, which used to be the location of where jerky submissions were stored. Today the Jerky Shrine Storage Stand Basket is used for jerky surplus. 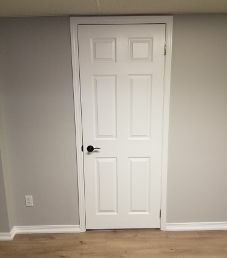 All current jerky submissions has since been moved to the Jerky Shrine Closet. That Jerky Shrine Storage Stand Basket on multiple occasions over the years has been overflowing with jerky to review, which fits around 75 jerky bags. The downside to the Jerky Shrine Storage Stand Basket was ruffling through the jerky bags looking for a certain jerky brand or flavor, and in the process knocking precious black peppers, hot chili peppers, etc. off other jerky maker strips. Now the non-reviewed jerky bags are stored in the Jerky Shrine Closet in smaller, more manageable organized piles. PICTURE #5 shows Jerky Shrine Cork Board #1 mounted on Jerky Shrine Wall #1. PICTURE #6 shows Jerky Shrine Cork Board #2 mounted on Jerky Shrine Wall #2. 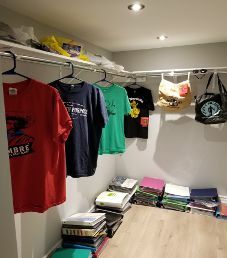 PICTURE #7 is the Jerky Shrine Closet that houses jerky maker t-shirts, tote bags, and sunglasses. 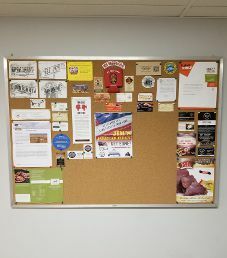 More or less jerky paraphernalia that do not fit nicely on a cork board will be added to the Jerky Shrine Closet. The top left shelf are all 32 current jerky bags (January 28/2019) in plastic bags that have yet to be reviewed. One Jerky Shrine Closet submission plastic bag alone is for Smokehouse Jerky Co., who submitted 22 flavors in one jerky submission round. 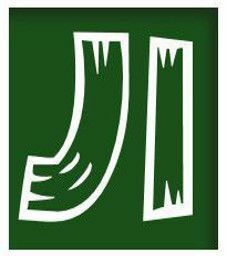 On the floor, are binders containing 1270jerky bags (January 28 – 1,260). Two piles of binders are USA beef jerky bag submissions. One pile of binders is all Canadian beef jerky bag submissions and purchases. One pile binders is international beef jerky bag submissions, Asian based beef jerky brands, and specialized dried beef such as biltong. One pile of binders is all jerky types not being beef, with the majority being jerky submissions. One pile of binders is big brand/private label beef jerky bag purchases. One pile of binders is smaller USA brand beef jerky bag purchases. One pile of binders is online beef jerky bag purchases. 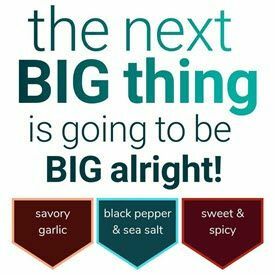 We are proud of offering great exposure, giving the opportunity to get each and every jerky brand known to the market and community in this probably 3 Billion Dollars annual sales jerky industry. The jerky industry has a broad presence on Facebook, Twitter, and Instagram. As a general rule, jerky makers with high social media activity have good to great tasting jerky. As listed below, you will find various statistics of our accomplishments in becoming the most detailed jerky review web site in the world.